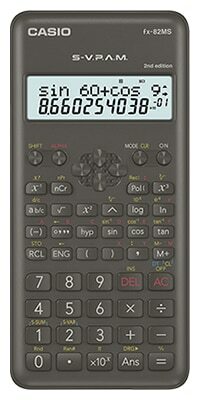 TOKYO, December 3rd, 2018 — Casio Computer Co., Ltd., announced today the release of new models in its MS Series of standard scientific calculators, featuring simple designs that users will never tire of. The affordable MS Series scientific calculators are equipped with S-V.P.A.M.,*1 which enables users to input expressions the way they are written in textbooks. 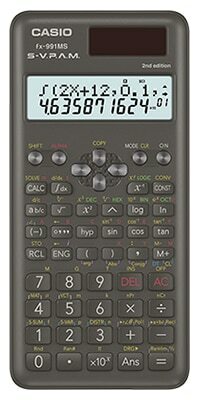 Casio MS Series scientific calculators have proven popular with engineers and students around the world. *1 S-V.P.A.M. stands for Super Visually Perfect Algebraic Method. With the release of this second generation MS Series, which are marked by a “2nd edition” inscription, Casio has updated the design of the calculators for the first time since the MS Series was launched in 2002. With rounded corners and edges for a better fit in the hand, the body has been reshaped to enable the hard cover to be slid on from either the top or bottom of the calculator. The cursor keys are accented with a special textured surface around the keys. High-visibility fonts and high-contrast printing colors enhance ease of use. The four separate cursor keys replacing the old single four-way cursor button makes it easier for users to press the keys. 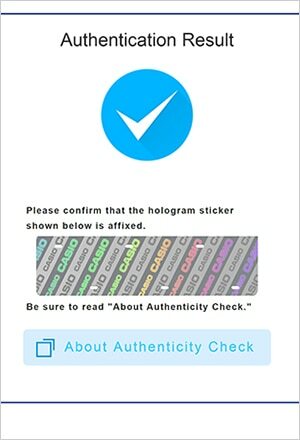 The packaging features an authenticity sticker*2 using both hologram and QR Code*3 technology for checking the authenticity of the sticker. The hologram has been specially designed to display the CASIO logo. Any QR Code reader app can be used to read the QR Code and check the sticker’s authenticity. *2 Authenticity sticker is not available in some regions. *3 QR Code is a registered trademark of Denso Wave Incorporated. *4 Battery life is calculated based one hour of use per day. Specially designed to display the CASIO logo. *5 For information on checking the authenticity of the hologram, visit: http://edu.casio.com/authenticity_check/en/ . *5 Hologram colors depend on the angle of light. Actual colors may differ from what is depicted here. Use any QR Code reader app to read the code and open up a Web page showing the result of the authenticity check. 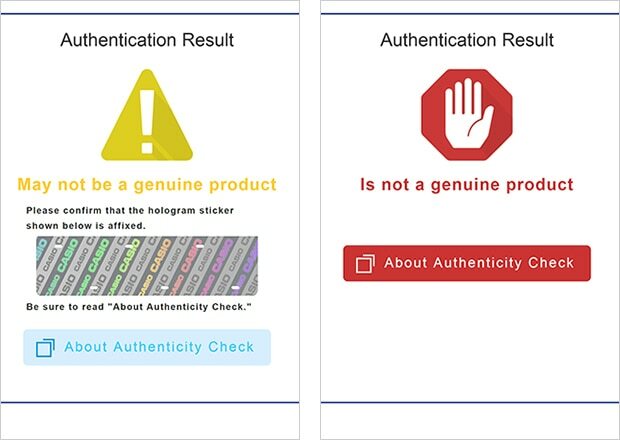 The online authentication result deduces the authenticity of the sticker based on the QR Code reading trend. It is not a guarantee of a genuine product.